Is Francine Baron Lying? Is She Being Lied To? None of them knew Monfared was on the run? -REALLY?? At the last seating of parliament, Miss Francine Baron informed the Leader of the opposition Mr Lennox Linton, that the Government of Dominica was not aware of Ali Reza Ziba Halat Monfared’s legal troubles, before his arrest in January 2017. Miss Baron's response to the opposition is consistent with the statement she made in January of 2017. Immediately following the arrest of Monfared, Miss Francine Baron said “Mr. Monfared’s due diligence report showed no areas of concern in any jurisdiction or country including Iran, and he passed all other security checks. Additionally, the report found no pending legal or other matters against him anywhere ." Once again we want to refer Francine Baron to a court matter in Kualar Lumpar high court, Malaysia. Law Suit No. 22NCVC of 2015. In this matter Ali Reza Ziba Halat Monfared had been sued by his business partner Sayan Kiran for an unpaid loan in the sum of RM 7,406,059.36, the equivalence of US $1.852 Million. The money was used to purchase a parcel of land. Now is Francine Baron really that careless or just simply shameless? We must admit that with the regurgitation of Francine Baron's misleading statement we get to replay in our minds that moment we received the intelligence from a DLP source and the regret that MiTC did not follow through with the information. Two weeks after Ali Reza Ziba Halat Monfared arrived in Dominica we received information that he was wanted by Interpol. We were also tipped off on his location in Dominica and so we followed Monfared’s trail and found out that he was being housed at a building in the Guillet/Savanne Paille area ,north of the town of Portsmouth. In fact MiTC was the first to inform the public that Monfared was housed in the Guillet/Savanne Paille area before he was moved to his hideout at Morne Daniel. Keep in mind that although we had received early information that Monfared was a wanted man, we did not have enough information to confirm that he was wanted by Interpol nor to believe that he was in Dominica to stay. However we were curious as to why Monfared’s chief facilitator ,Mr Emmanuel Nanthan, had placed a multimillionaire ambassador at a dwelling house in such a remote area and not at one of our best hotels on the island. 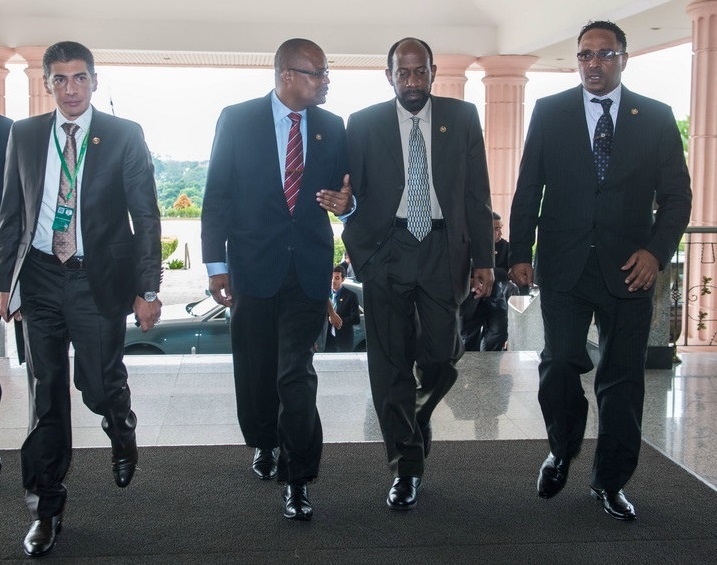 We also felt that the My Dominica Trade House scam and scandal had revealed the true character of PM Skerrit's hand pick Diplomat , Ali Reza Ziba Halat Monfared. Note also that the information we received shortly after Monfared's arrival in Dominica , was also relayed to us in a desultory manner but in retrospect, the information should have been adequate and credible enough to go public, as that information came from a source within the circle of DLP boyz club. In addition it was that same source that led us to that house in Guillet/Savanne Paille where Monfared was housed for a few weeks prior to being relocated at Morne Daniel. 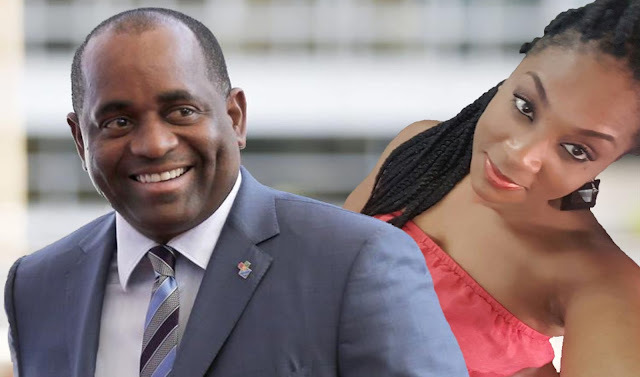 A question we always ponder upon is - What would have happened or what would the Roosevelt Skerrit "maladministration" have done, if MiTC had gone public with Monfared's fugitive status, prior to his arrest in January 2017? 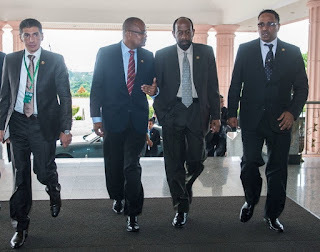 The question makes for a number of hypothetical assumptions, but one thing for sure is that, the Foreign Affairs minister , Francine Baron , The "horned one" Tony Astaphan and PM Roosevelt Skerrit would not be in a position to declare that they were totally unaware of Monfared's legal troubles. But since they have established themselves as inveterate liars we can also safely assume that they would have manufactured some other fancy lies for public consumption. In as much as we are making our confession and to avoid any regrets , we want to inform the public that we have in our possession the photo of another Iranian fugitive who was somehow affiliated to Dominica. We can confirm that soon after Monfared’s arrest in January 2017 ,the CID of the Dominica Police Force had been very interested in this other Iranian fugitive. We choose not to publish the photo of the fugitive at this point as we are still trying to get more information. Again our information came from a very credible source – From inside the belly of the whale . We sincerely hope that Minister Blackmoore and Police Commissioner Daniel Carbon will be willing to answer the following questions. Why was the CID interested in this gentleman immediately after Monfared was arrested? What is the status of the investigation and did the gentleman depart from Dominica prior to Monfared’s arrest or after Monfared’s arrest? Did the gentleman have a diplomatic passport and or a regular passport and if not why was he of interest to the government of Dominica and Interpol? For the sake of clarity - Mr Monfared lived in Dominica with his son, a female companion and another male family member, said to be his uncle. The photo of the Iranian fugitive that we now have in our possession does not match any of the male family members who purportedly lived with Monfared in Dominica.